How Donald Trump Could Build an Autocracy in the U.S.
David Frum in the Atlantic has a long-form piece describing a frighteningly plausible scenario of how Donald Trump can lead the U.S. into an autocracy. The TL;DR is that it won't be obvious that it's happening. It's a splendidly written piece, worth reading all the way through despite its length. I can't even find an excerpt that does it justice. Just set aside some time and read it. I don't assign homework that often. 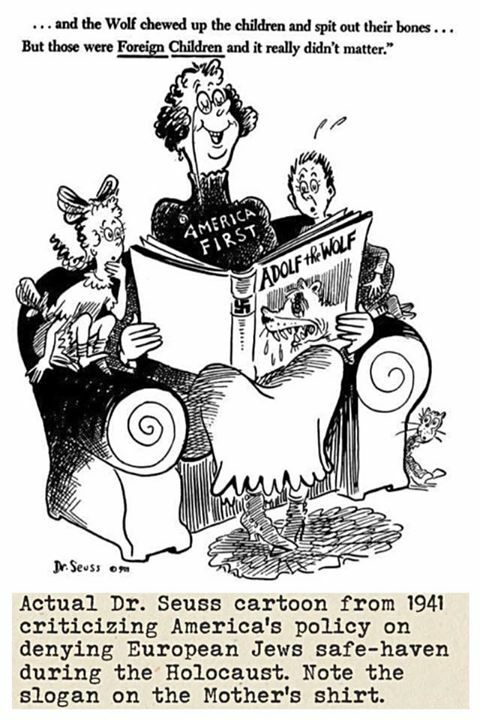 Also, this cartoon came through on my feed today, noteworthy not just for its content but also for its (historical) context. Commenter Tony pointed me to this piece by Masha Gessen. I'm not entire certain yet whether Trump is actually planning a Machtergreifung or if it just seems that way, but the warnings and portents are all looking quite ominous to me. Worth reading. 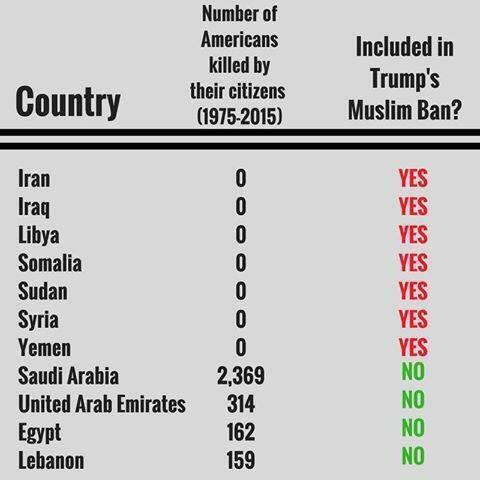 Filling in the Countries where Donald Trump does not do business is left as an exercise. I've had an item on my todo list for months to take a deep dive into the question of anthropogenic climate change. Alas, with everything going on right now I just don't have the time. Happily, it turns out that a Berkeley physics professor named Richard Muller has done it for me. Muller was a climate-change skeptic who did an exhaustive study of the literature in 2012 and changed his mind. He now runs an organization dedicated to sober, objective, open, and reproducible analysis of climate data. It's a model of how science ought to be done. They've done a much, much better and more thorough job of cutting through the gordian knot than I could ever hope to. So thanks, Prof. Muller! Donald Trump vowed today to 'totally destroy' the wall of separation between church and state. Of course, in Trump's America, not all religions are created equal. We've seen unimaginable violence carried out in the name of religion. Acts of wanton slaughter against religious minorities. Terrorism is a fundamental threat to religious freedom. Donald Trump's closest advisor Steve Bannon thinks there will be war with China in the next few years. And he probably has the power to make it happen.